Ethicon, a subsidiary of Johnson & Johnson, is set to defend itself against claims that its hernia mesh device led to serious injuries in a trial set for 2018. 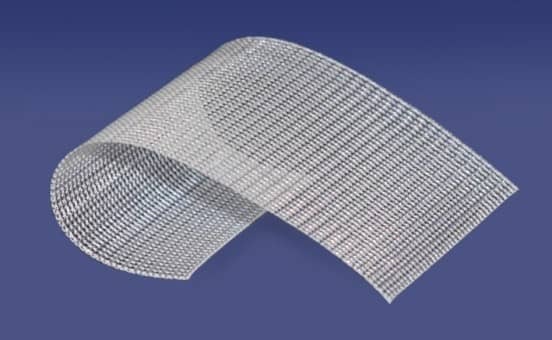 The medical device manufacturer is facing allegations that its hernia mesh patch called Physiomesh Flexible Composite Mesh was defectively designed and led to a number of injuries in hundreds of patients, including hernia recurrence and severe pain. The lawsuit, scheduled for Jan. 22, 2018, in the U.S. District Court for the Southern District of Illinois, is the first Ethicon will face over its Physiomesh device. Although many lawsuits have been filed against the device maker, plaintiff Matthew Huff was one of the first to file a suit against Ethicon over the device. According to court documents, Huff underwent surgery to repair a hernia of the abdominal wall using Ethicon’s Physiomesh in 2013. However, in July 2015, Huff began experiencing severe pain in his abdomen, along with fever, nausea, chills and redness of the skin. He was eventually hospitalized and found to have had two abdominal abscesses and intestinal fistula, which is when gastric fluids seep through the lining of the stomach from an abnormal opening in the digestive tract. “Since that time, Plaintiff Matthew Huff has suffered severe and serious problems and complications with two open abdominal wounds which have to be cleaned and packed daily, and continues to suffer various infirmaries due to complications caused by the product, Ethicon Physiomesh Flexible Composite Mesh,” according to the original complaint. The complaint from Huff repeatedly claims that the product was unreasonably dangerous and not suitable for use. The lawsuit alleges that the coating of the Physiomesh device is the main culprit. Physiomesh is a flexible composite mesh designed to repair a hernia. The product is coated with a compound to better facilitate adhesion and limit inflammation. However, Huff and others believe that the coating is behind the complications. “Plaintiff believes and alleges that the defect caused the product to adhere to Plaintiff’s internal organs in such a way that has caused him severe infection and further injuries,” the lawsuit continues. Physiomesh, which was first approved by the U.S. Food and Drug Administration in 2010, was removed from the market in 2016 based on a higher incidence of revision rates among patients implanted with the device. Although Ethicon announced a voluntary recall in Europe, only a “market withdrawal” was issued in the United States. Meanwhile, lawsuits against Ethicon over problems with Physiomesh continue to mount. Earlier this month, Connie Franklin filed a lawsuit in the U.S. District Court for the Middle District of Georgia over claims that Physiomesh caused intestinal obstruction after her intestines protruded through part of the mesh that was meant to repair her incisional hernia. Like Huff, Franklin claims that Johnson & Johnson and Ethicon failed to warn patients of major defects and were negligent. The trial involving Huff and Ethicon in 2018 could be an important one for victims who suffered complications from Physiomesh. Over the six years Physiomesh was on the market, many were implanted with the mesh device. More patients are expected to come forward to file lawsuits against Ethicon.